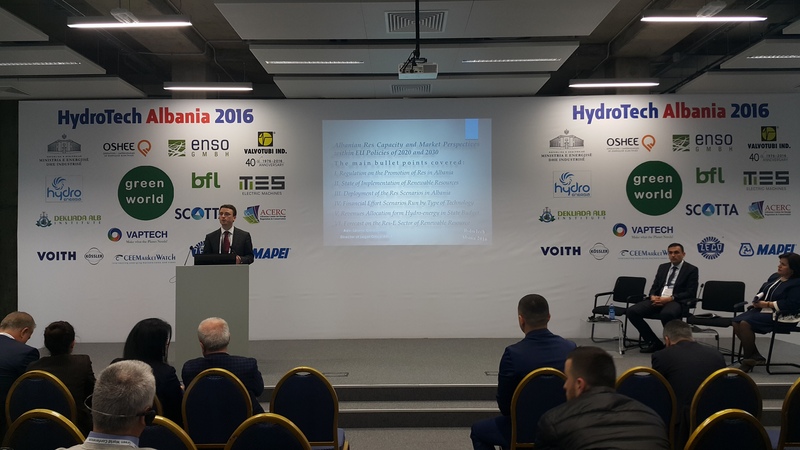 HydroTech Albania is the only event focusing on Albania’s hydro energy potential, development and investment and is organised together with the Ministry of Energy & Industry and a number of local partners. HydroTech Albania is the only hydro energy event in the country and will provide a platform to exchange information and the opportunity for both the potential and existing investors and the investment community to meet and network in a 5 star environment. It is intended to support hydro development in Albania, to increase foreign direct investment and aid further privatisation of the hydropower industry. While the event will be showcasing many technology providers it will also be content driven and will address the key issues the hydro energy industry is facing today in Albania, including the main drivers: reducing CO2, increasing energy security, enabling access to affordable financing, reducing production costs and alleviating poverty in rural areas. How is the event different in 2017? Most importantly, following the success of 2016 edition, the greater number of attendees, with special attendance from a number of key investors and developers, both local and international as well as leading construction companies. We have also booked a larger exhibition area to accommodate all the companies interested in promoting their offer to event participants. Albania has a liberalized economic framework and conditions for doing business and attracting FDI are improving constantly. In Albania, building new power generation capacities and transmission lines to support its future energy needs and to export is a government priority. According to Renewable Energy and Energy Efficiency Partnership (REEEP) the country has only exploited 35% of the total potential. Total hydropower reserves are estimated at around 3,000 MW. Potential annual generation may reach up to 16.000 GWh. Furthermore, the Albanian electricity system relies almost entirely on hydro to cover its electricity demand with 1.7 GW of hydropower capacity installed, according to information from the Energy Community. The HydroTech Albania 2017 conference and exhibition will host major developers, ministries, investors, lawyers, energy regulatory agencies, energy traders, utilities and technology companies. Whether you are launching a new product, building your brand awareness, successful targeting new customers or cementing existing relationships with clients HydroTech Albania 2017 is ideal to assist you in successful reaching these objectives. 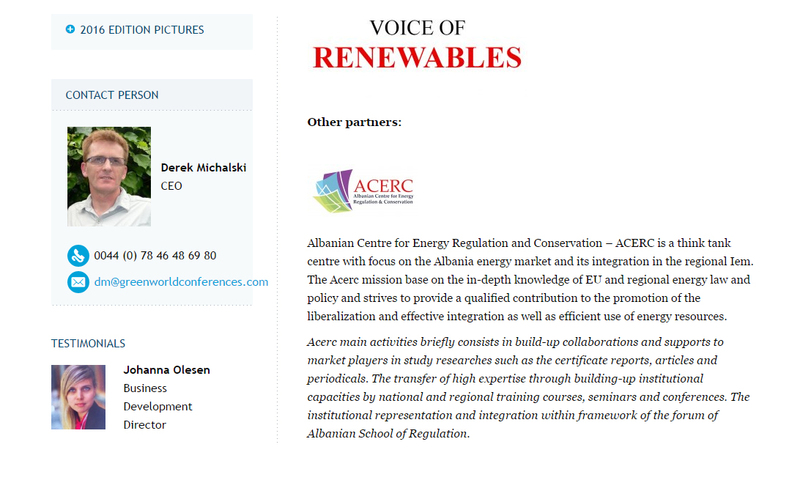 The conference is organised with close co-opeartion with the Albanian Small Hydropower Association, Albania Center for Energy Regulation and Conservation (ACERC), etc.